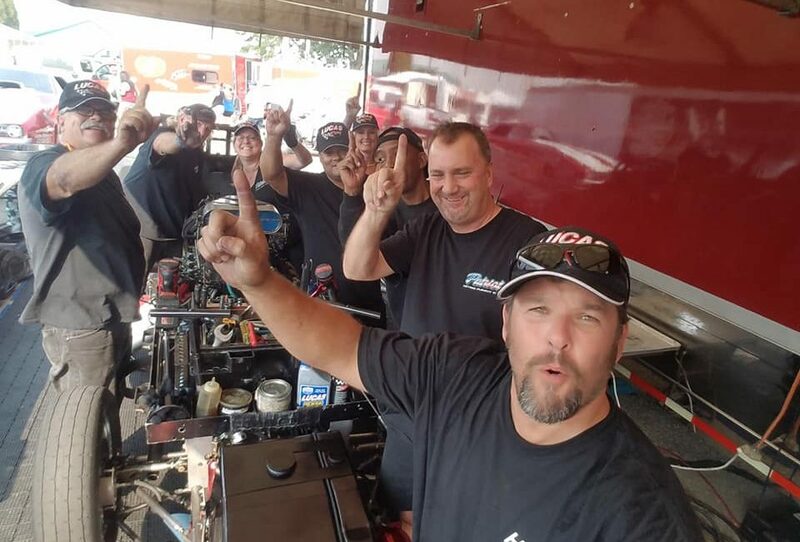 Dan Horan Racing Team > News > Race Reports > Taking Back Number 1! After we had qualified number one on Friday night with a 5.757, Jason Rupert (who eventually won the 47th Pepsi Nightfire Nationals) went over the top of us with a 5.746 to claim the number one spot. That didn’t last long though as we reclaimed it with a 5.734 on the very next run! Good friend and competitor Jason Rupert (the eventual event winner) had just beaten our existing #1 qualifier spot, this run show us taking it back!